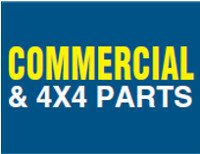 We have a huge range of quality 4 x 4 parts to fit any Imported or New Zealand new vehicle nationwide. Our fast turnaround service means orders are delivered overnight to most areas within New Zealand. Car, Commercial & Four Wheel Drive. With warranties and guarantees on all parts why would you go anywhere else!